I see theoretical models as going hand in hand with experiments in a back-and-forth process. Larry Abbott is building computer models to help us understand how large groups of neurons work together to perceive and respond to the world around us. Series of awards unites experts from different fields and universities; bolsters innovative, team approach to deciphering the complexities of the brain. What can we learn from simulations of brain circuits? Mormyrid electric fish have a unique way of getting around. They sense electric fields in their environment and use this to locate obstacles or prey. But they also emit an electric field of their own, which would confuse their sensory system were it not for their ability to subtract their own electric fields from those generated by objects in the external world. Larry Abbott, PhD, a theoretical neuroscientist at Columbia University’s Mortimer B. Zuckerman Mind Brain Behavior Institute, recently collaborated with experimentalist Nate Sawtell, PhD, another principal investigator at the Zuckerman Institute, to reveal how electric fish perform this feat. It is just one of the projects Dr. Abbott has worked on in hopes of uncovering the foundational mechanisms of how nervous systems process information. Dr. Abbott spends much of his time collaborating with experimentalists. He works with pen and paper, or with computer simulations, to build models of systems other neuroscientists are studying in their labs. Some models are highly abstract, while others contain considerable biophysical detail. He uses them to generate new hypotheses that can then be tested experimentally. “I see theoretical models as going hand in hand with experiments in a back-and-forth process,” he says. An important element in many models is synaptic plasticity, which is the ability of synapses — the connections between brain cells, called neurons — to change with experience. “It’s a hugely important part of our brains. It frees us from a prewired system that can only sense and respond to information in fixed ways, like robots,” Dr. Abbott says. The electric fields that a fish senses, for instance, are influenced by the seasons and by its own growing body, so its brain is constantly retuning the calculation being performed. Recently Dr. Abbott has explored the importance of synaptic plasticity across multiple time spans. We want to be able to learn new things quickly while holding onto some memories for a long time. “For example, you don’t want the details of everyday life overwriting important memories of past events,” explains Dr. Abbott. Whereas experimentalists tend to focus on one animal model, brain area, or technique, theorists get to integrate what they learn from working with many different labs, “and that’s why I think it’s important for theorists to jump around,” Dr. Abbott says. For example, what he has learned about perception from the fish can be applied elsewhere — to motion compensation in human vision, for instance. Dr. Abbott’s work also informs, and is informed by, the artificial intelligence community. He has analyzed brain-machine interfaces, which translate brain signals into computer input to move, say, a cursor or a robotic arm. And he has done some modeling of diseases, including ALS, schizophrenia, and obsessive-compulsive disorder. Optimal Degrees of Synaptic Connectivity. Tuning Curves for Arm Posture Control in Motor Cortex Are Consistent with Random Connectivity. Bayesian Sparse Regression Analysis Documents the Diversity of Spinal Inhibitory Interneurons. 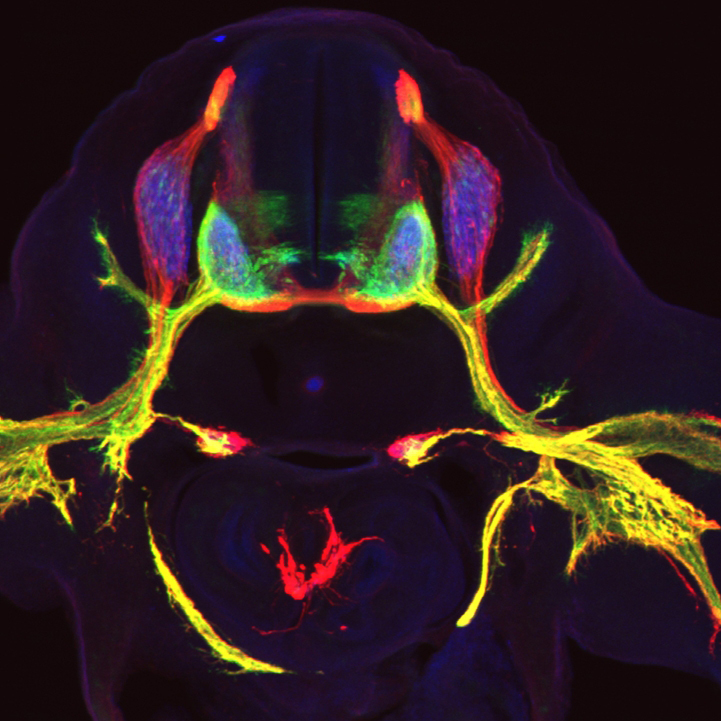 Building functional networks of spiking model neurons. Activity Regulates the Incidence of Heteronymous Sensory-Motor Connections.